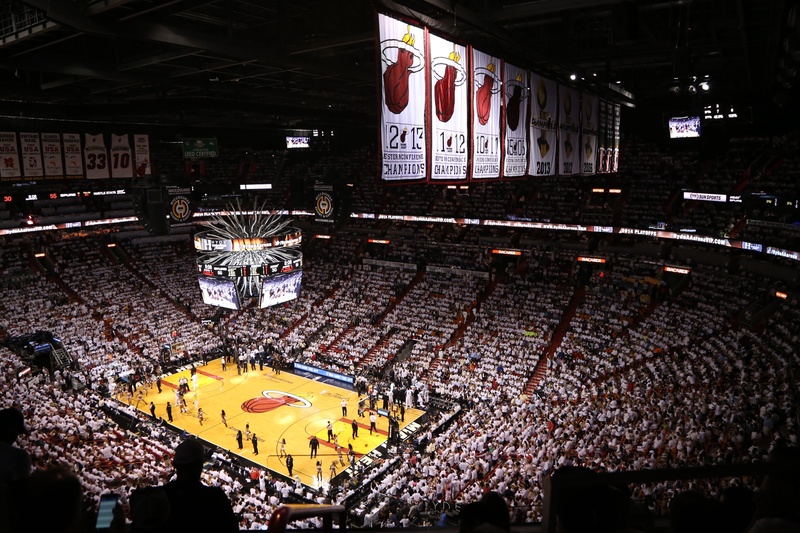 AmericanAirlines Arena is home to the Miami HEAT and recently installed Eaton’s Ephesus sports lighting light-emitting diode (LED) and controls system. Eaton is a major power management company pioneering the adoption of LED lights and fixtures in arenas and other facilities providing an enhanced environment at games, shows and concerts. The results of installing the Arena Pro Series include improved player performance, a better fan viewing experience and reductions of energy consumption by upwards of 75 percent when using their control functions that are truly changing the industry. The Sports Techie community blog is a sustainability champion and encourages all NBA venues to move towards LED lighting tech in the near future. American Airlines Arena Install Eaton Ephesus Sports LED Tech For Miami HEAT NBA Games – SportsTechie blog, Photo Credit David Alvarez/Miami HEAT. Sport and entertainment fans living in Florida are now part of the LED revolution sweeping across North America. The Minnesota Timberwolves became the first NBA team to install the Ephesus sports lighting system followed by the HEAT. The team played host to the Brooklyn Nets on October 11 during a preseason matchup resulting in resounding gameday success. American Airlines Arena features the Ephesus Arena Pro luminaries and Prism color fixtures designed around a patented color temperature and a high-precision lens. This unique feature allows operators to have tuning capabilities and a user friendly control system integrated with the existing control mechanism in place. This LED system is the only one in the industry with 100 percent dimming controls, tunable light temperature and sophisticated control over each fixture. Another noteworthy selling point for Eaton is the fact their technology uses less fixtures than what was in previous use at AmericanAirline Arena yet illuminates more uniformly with optimized lighting on the hardwood courts and stages. Spectators in person and watching on live HD TV notice the lighting improvement immediately as do players and performers. The company created an easy to install LED system with no maintenance required for years. Comparing total operating costs with traditional sports lighting systems unveils tremendous monetary and energy usage savings. The proprietary technologies exceed the high lighting standards of professional basketball and college sports (including dramatic light cut-off). The growing list of venues sporting the LED sports lighting systems by Eaton includes the University of Phoenix Stadium (Arizona Cardinals); Hard Rock Stadium (Miami Dolphins); U.S. Bank Stadium (Minnesota Vikings); Bridgestone Arena (Nashville Predators); Globe Life Park (Texas Rangers) and hundreds more. “Since we installed the first ever solid-state lighting system in a North American sports arena, facility operators and team executives have come to understand that Eaton’s digital lighting solutions create an enhanced stage for fans and performers,” added Lorenz. 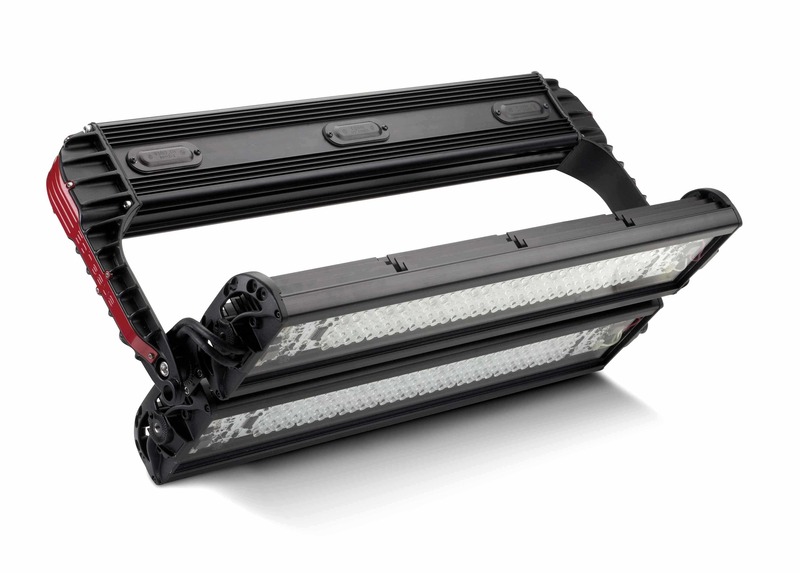 Eaton’s Ephesus Lighting business manufactures high-output solid-state lighting solutions for challenging applications in the industrial and sporting markets. The business is focused on innovating advanced lighting solutions that will enrich and illuminate the world, by creating brighter, more vibrant and sustainable environments. Ephesus Arena Pro LED luminaires and Prism color fixtures. Sports Techie, sustainability is a reponsibilty the entire world needs to implement, yesterday. 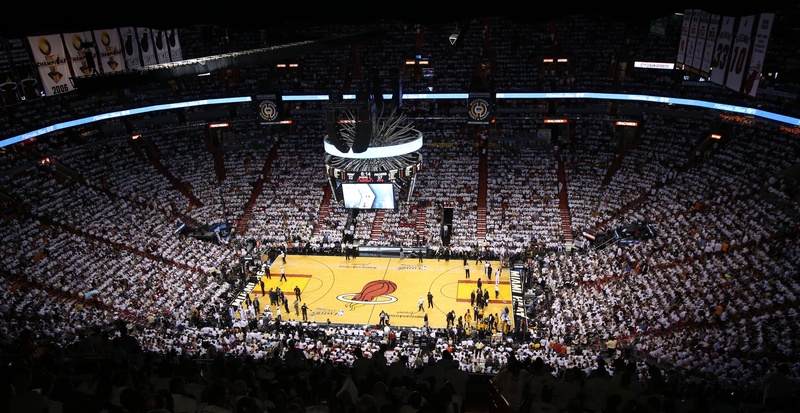 Hoops fans of the HEAT can be proud of the decision by the owner and management to upgrade to Epheus LED lighting by Eaton to help Miami, Florida and the United States met these global demands head on. The Vikings are undefeated at home in 2016 thus far at US Bank Stadium under Ephesus LED lighting, Skol! Go watch a game in person, or on your TV and digital devices to see improved LED lighting for yourself, it makes a performance and energy-saving difference for all.